I’ve got a giveaway for you guys! 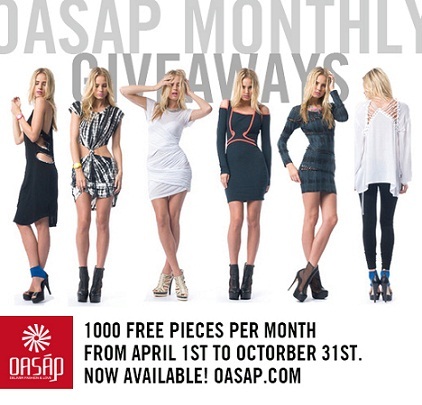 Oasap is offering one of you lovely people a chance to win one of the items below! Items up for grabs includes a lovely galaxy dress, a coral maxi dress, a cute owl handbag or a kitty tee! This is part of their big giveaways that have are going to running until Halloween! If none of those take your fancy; there is also a American Flag Flats, A Pink tote and a beautiful floral dress! – You MUST be following my blog on GFC/Bloglovin’ & to register on OASAP.com as a member here. It's hard to choose but I'd love "gold collar shirt". I would love to win the galaxy dress! the galaxy dress or the handbag! i'd love to win the gold collar shirt! I LOVE the galaxy dress! the gold collared shirt is lovely!! I like the floral dress you mentioned in the link! I love the Chiffon Dress! I'd like to win this maxi skirt! I'd love to win this Vintage Real Leather Peeptoe Boots!!! lol….just read the rules over and my pick is the Crochet Flower Pattern Ankle Length Dress in white please! Glad I had the chance to entered! I am in love with that Lace Trim Bag….oh so adorable.